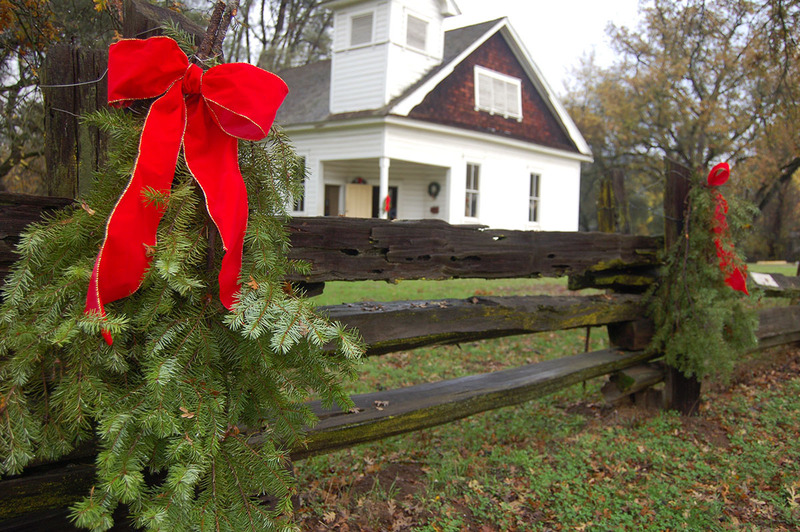 Enjoy an old-fashioned Christmas at Marshall Gold Discovery State Historic Park in Coloma on December 9 and 10, 2017 from 10 a.m. to 4 p.m. Thirteen of the park's historic buildings will be decorated for the holidays and open to the public. Costumed docents in each house will relate the history of the building, and holiday refreshments will be served at two locations to boost your holiday spirit! There will also be a plethora of traditional holiday activities to entertain and delight. There will be live music performed by local musicians and choirs, wagon rides and roasted chestnuts to keep you in the holiday spirit, and the ever popular wreath making activity that the whole family can take part in. Father Christmas will also be in the park gathering Christmas wishes and bestowing holiday cheer. ​The park day use fee of $8 per vehicle applies. An addition entrance fee of $5 per person (5 and under free), will be assessed to visit the houses. For more information, contact the park museum at 530-622-3470.